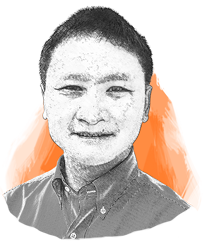 Lijun Duan has over 10 years of technical and leadership experience in analytical development in the pharmaceutical industry. As Associate Director of Analytical Development at BioDuro, he leads an analytical team with his expertise in analytical methods development and GMP regulatory compliance in different drug product development stages. Prior to joining BioDuro, Lijun was a Senior Group Leader at PPD, managing an analytical group to provide quality analytical method development, validation and quality control testing services to clients in the pharmaceutical industry.